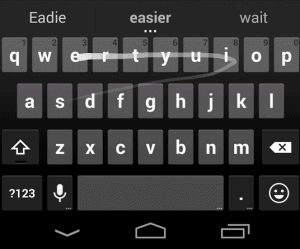 A new Google Keyboard was introduced together with Android 4.4 and the Nexus 5. Today we announce you that Google Keyboard 2.0 is now available on Google Play for any device running on Android 4.0 or higher. As you know, Android 4.4 doesn’t have the classic Holo-blue theme that was used in previous versions, but has a new white-based theme. To go in line with this change the new Google Keyboard 2.0 features the same color theme. 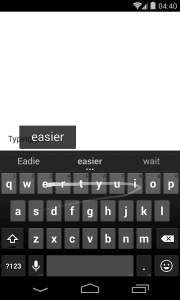 You will see that the swipe trail is white and not blue any more, as well as the over all interface of the keyboard. swipe without having to lift your finger of the screen. 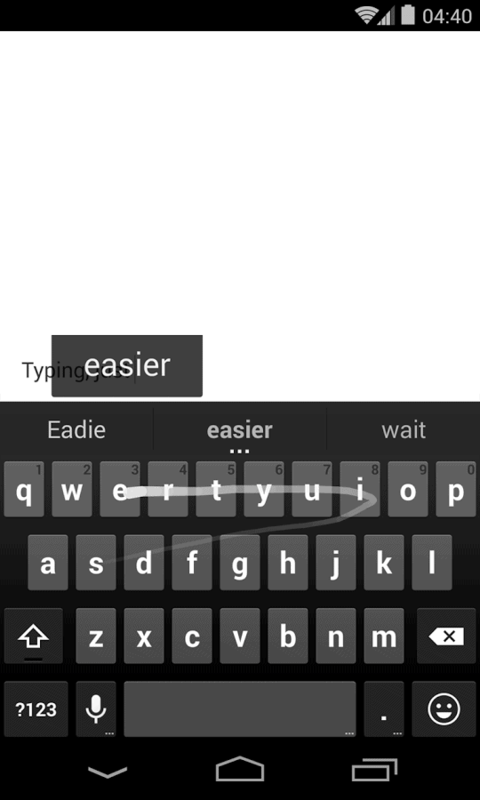 You can swipe your finger over the space bar and continue with the next word. You can also use the new emojies by Google, although if you don’t have Android KitKat you will only be able to use a limited black and white set of emojies. 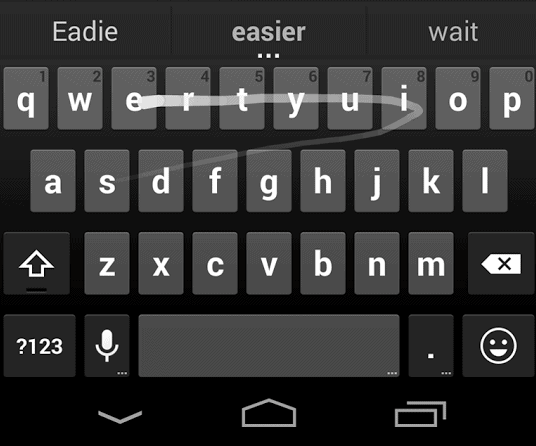 You can go ahead and grab the new keyboard from Play Store at this link.